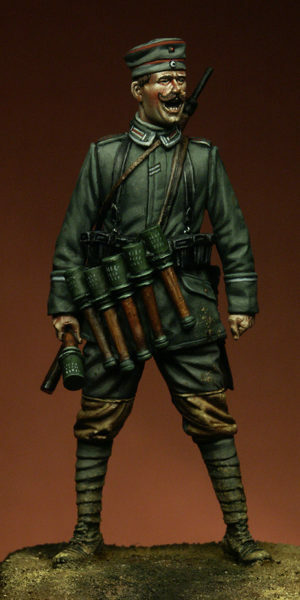 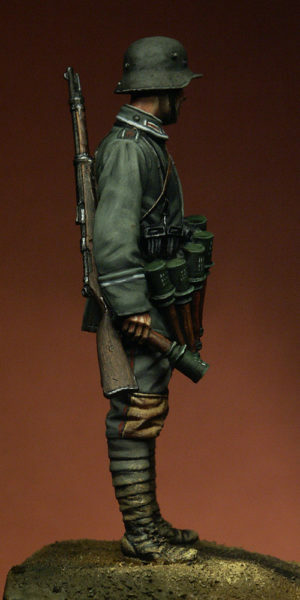 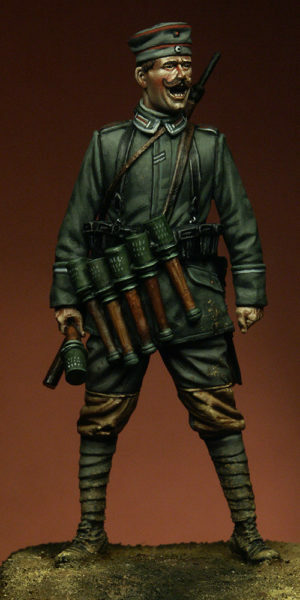 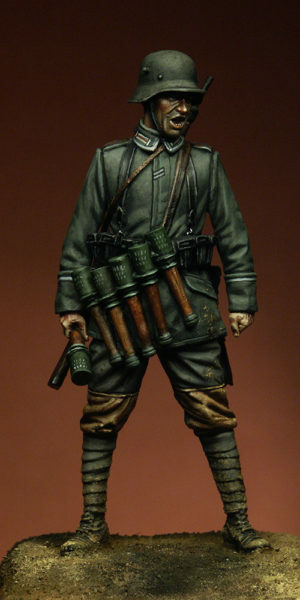 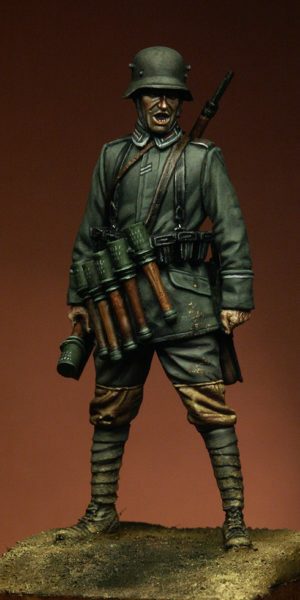 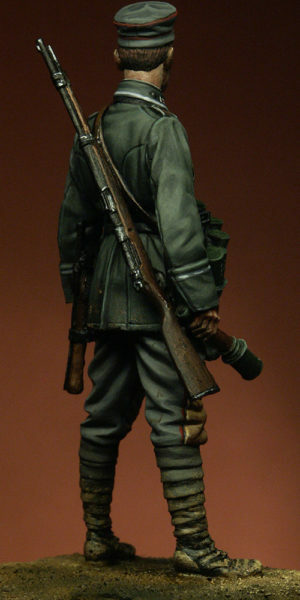 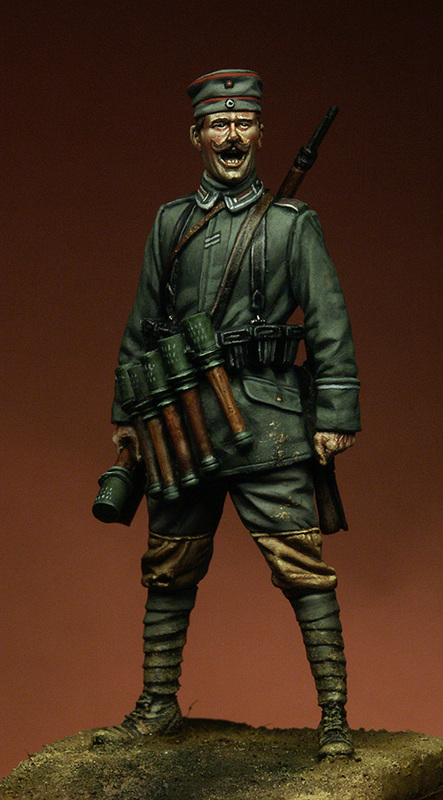 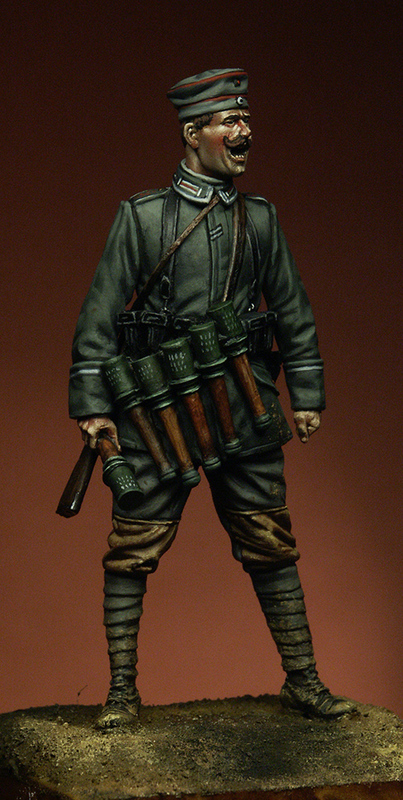 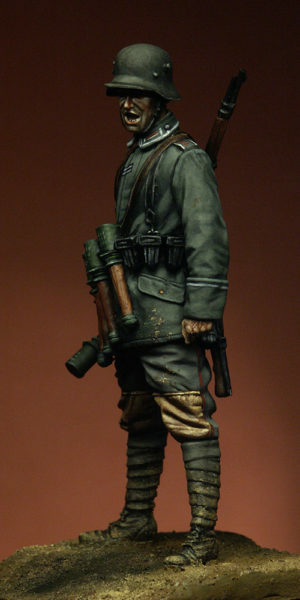 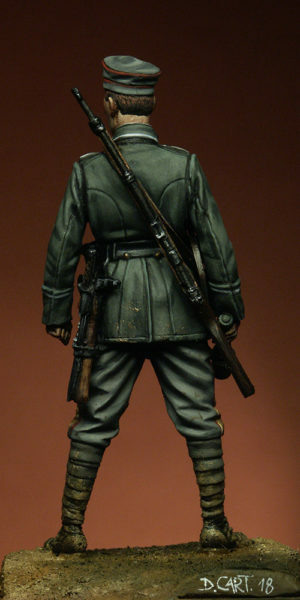 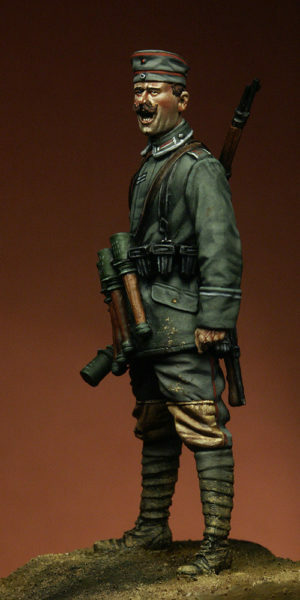 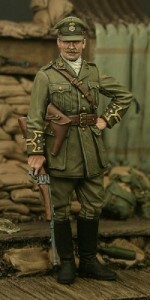 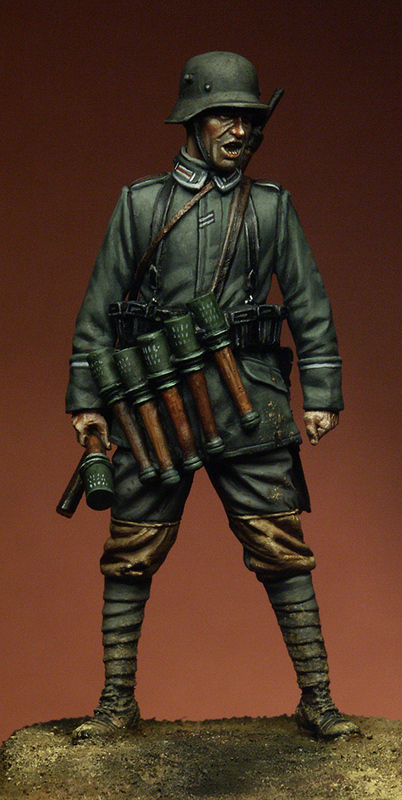 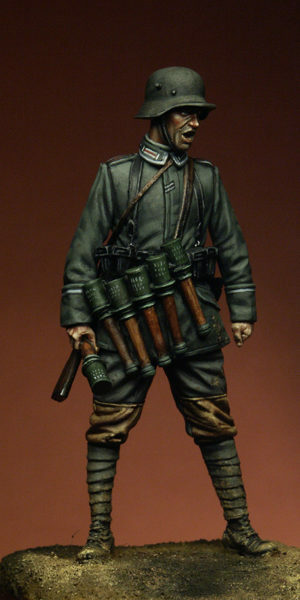 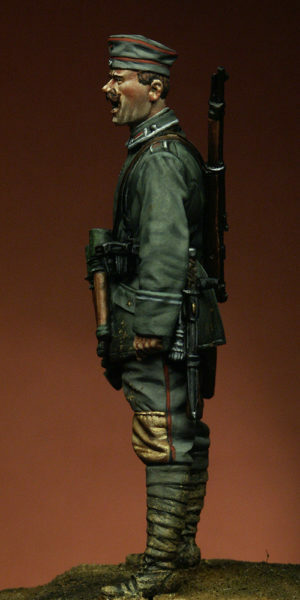 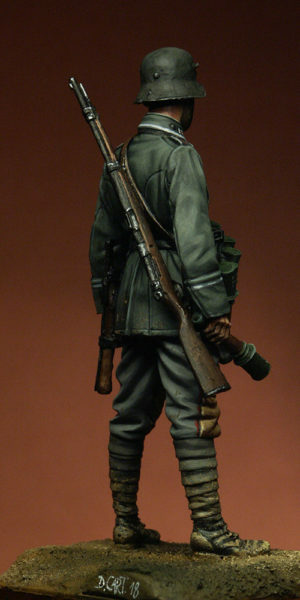 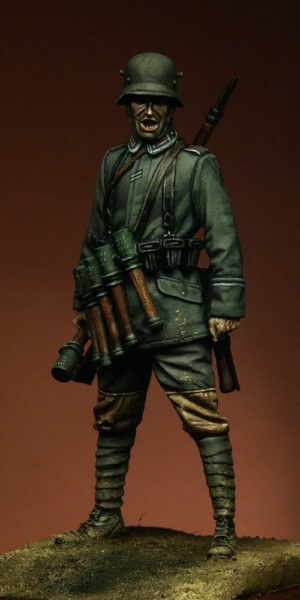 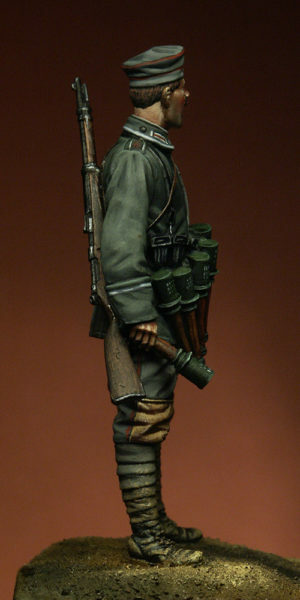 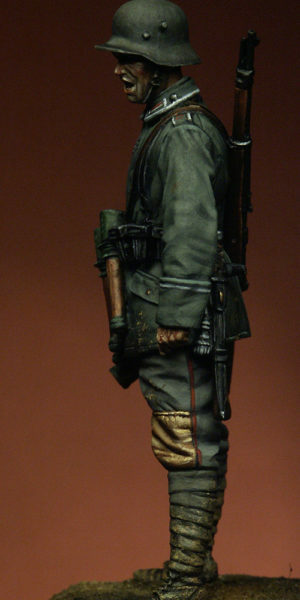 This figure depicts a Stormtrooper of a Prussian assault company in the Linsingen Army Group (Commander Alexander von Linsingen) on the Eastern Front in 1917, he wears a simplified M1907 field tunic with M1915 field-grey shoulder straps piped in infantry white and displaying a red battalion number. 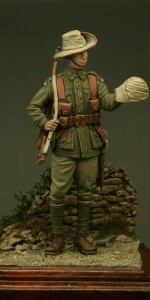 The trousers have leather seat and knee reinforcements and the spade is in its blade cover. 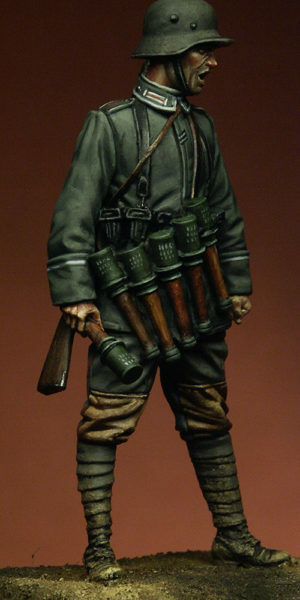 Rifle ammunition was often carried round the neck in the ten-pocket canvas Patronenträgergurte bandolier. 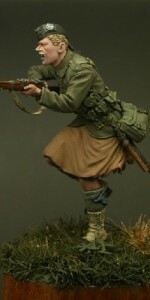 The main image shows the figure in his soft cap, a second head with a stahlhelm is also included which can be seen in the product images. 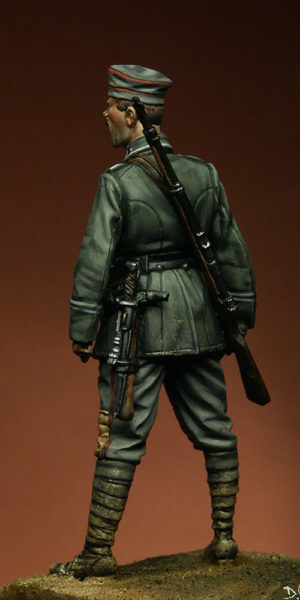 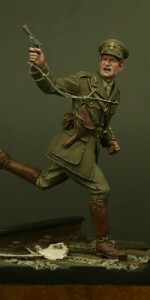 Sculpted by Nino Pizzichemi, this figure is cast in grey resin in 1/32 scale. 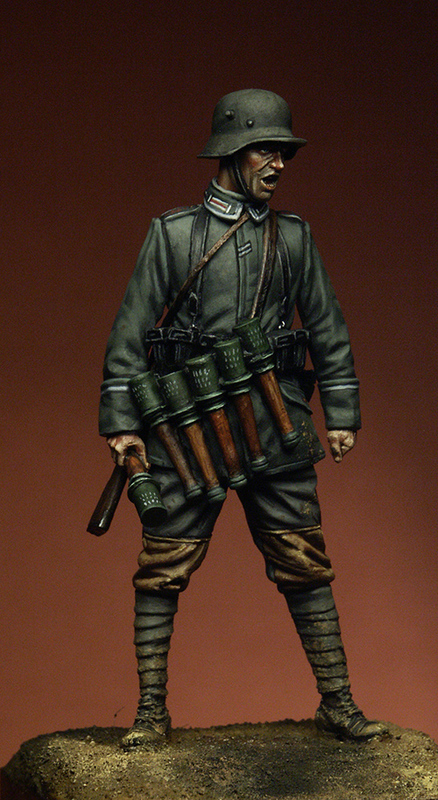 Box art is by Danilo Cartacci. 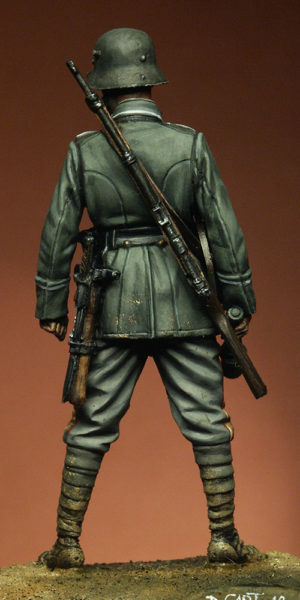 Note that figures in the TW32CP series do not come with rifle sling or any scenic base shown in the box art, tutorials for both will follow on the Tommy’s War blog section of this site.